This Cognac was bottled in France for Lyons Wine Cellar on the 4th September 1974 after 60 years in cask. 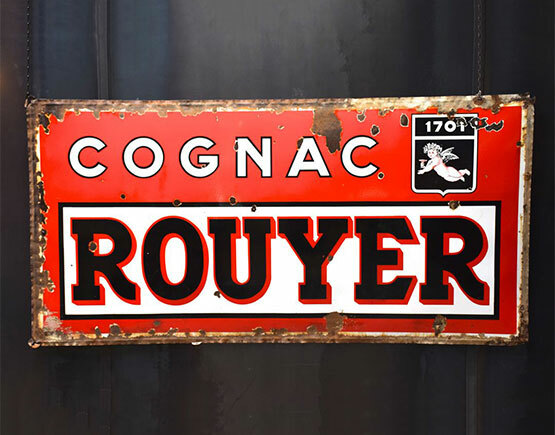 Rouyer, Guillet & Co is a very old company founded in the town of Cognac in 1701. The families Rouyer and Guillet started working together in 1801 as a result of marriage. 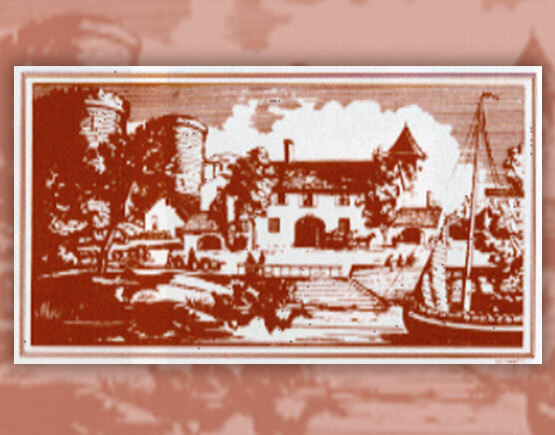 In the same year the company also moved to the town Saintes and the name changed to Rouyer, Guillet & Co, which later became Rouyer-Guillet. After 1900, the company took over almost all the companies in Saintes one by one in order to expand the company even more. Rouyer Guillet & Co. is another renowned brand that sadly does not have much of a future anymore. 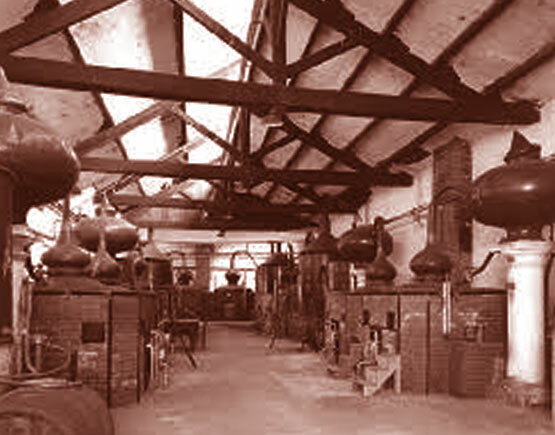 It has always been in the hands of the same families, Guillet and later Guillet and Rouyer together. Already centuries before the date of establishment the family Guillet owned vineyards and made wine. According to the family archives, it was Ponce Guillet who settled as a winegrower in Charente. 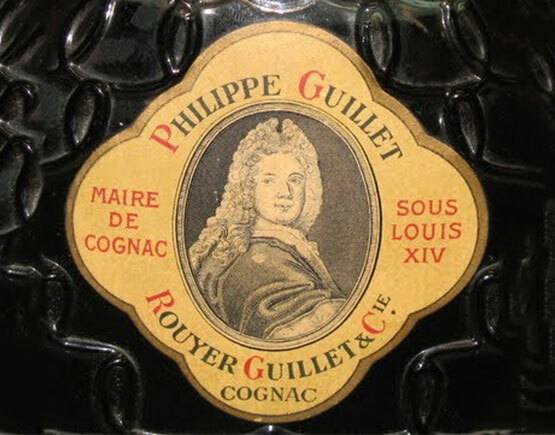 In 1687 Philippe Guillet became mayor of Cognac, for three years. He bought Les Fontenelles (house, storage-space, gardens, etc.) 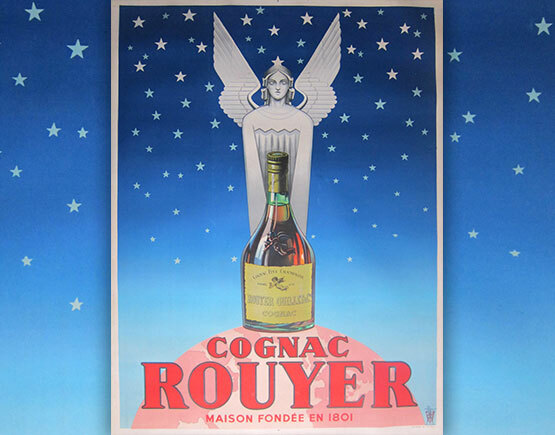 in the year 1693 end grounded his firm in 1701 in the city of Cognac. In this same year, he was bestowed with the ‘Brevet Royal’ by King Louis XIV and received a noble title at the same time. 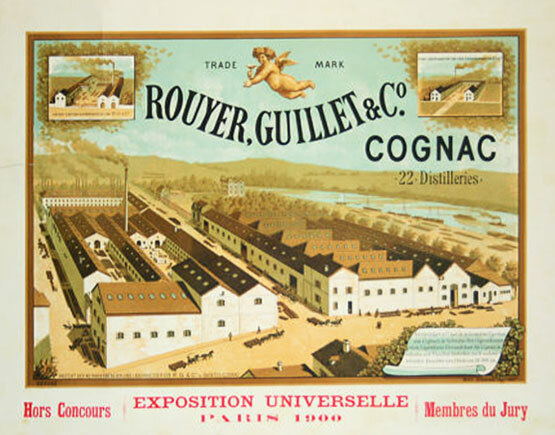 In the year 1801 Guillet partnered with Mr. Rouyer who became a family member by marriage, and thus the name became Rouyer Guillet & Cie. Rouyer was from a winegrowing family in Saintes, and soon after the wedding, they moved from Cognac to Saintes. They were very successful which can be seen by the number of buildings they bought during the years. 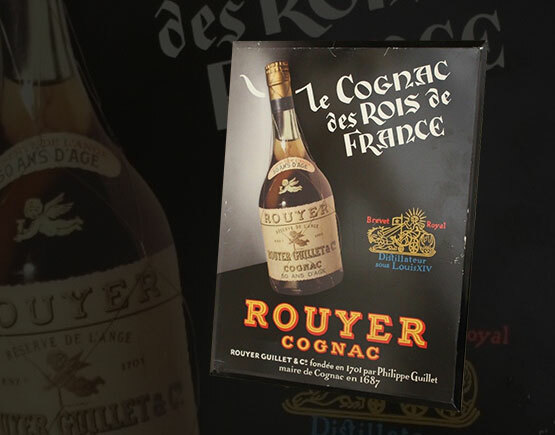 Because of their royal warrant, they called their cognac ‘Le Cognac des Rois de France,’ a slogan that embellishes many of their bottles. 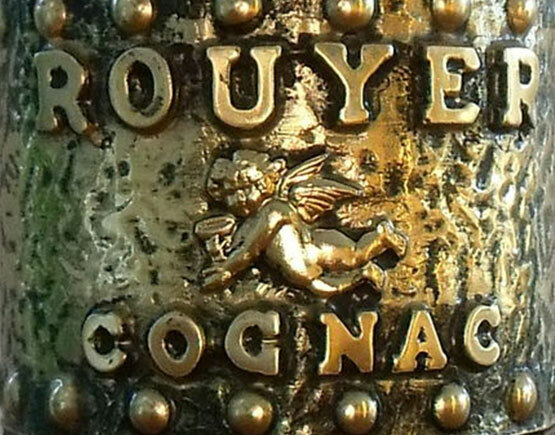 Besides their normal range of cognacs, their vintage cognacs of considerable age are worldwide well recognized. Some have aged for over a hundred years, and these are favorite collector items. Another conspicuous bottle is La Damoisel, which comes in different qualities. During the 1950s Suzanne Rouyer-Guillet, who succeeded her husband, Louis who had died in 1957, moved back from Fontcouverte to Saintes and settled in the beautiful Chateau de la Roche (on the Rue de Laroche). The company prospered. 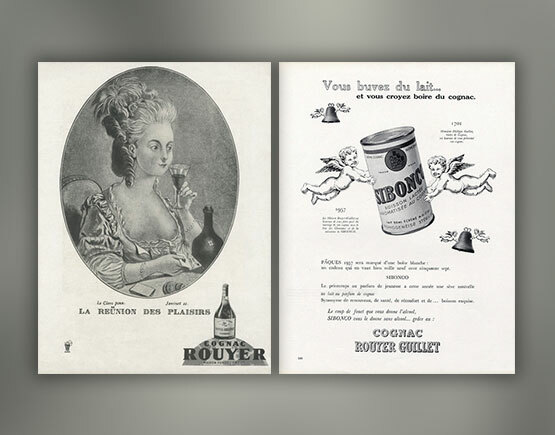 While other companies pursued refuge in major mergers (i.e., Hennessy - Moët, Bisquit -Ricard, Hine - Distillers Company), Suzanne wanted to stay independent, despite the opposite opinion of her son Michel. In the 1970s the economic crisis hit hard. The company was forced to take a new route. Despite the foreign offers from Asia and America, they choose to team up with Michel Coste CEO of the Compagnie Commerciale de Guyenne, who at that time had already accumulated some significant enterprises: Richard (St. Jean d’Angély), Bugerolles (Matha), Reaux (Cognac), Lucien Foucauld (Cognac), Meukow (Cognac). With a financial boost Rouyer-Guillet managed to fight back, and soon the business was booming again. Coste and Rouyer-Guillet completed each other excellently. In 1996 the stocks of Rouyer-Guillet needed to be moved outside of Saintes for security reasons, and Michel Rouyer-Guillet transferred them to their property La Grange in Richemont. Two years later Michel repurchased Rouyer-Guillet brand from Michel Coste. The CCG remained their exclusive distributor. Michel Rouyer-Guillet unexpectedly died in 1999 before he could deploy his new business strategies. Today the Rouyer-Guillet brand has a fragile position. 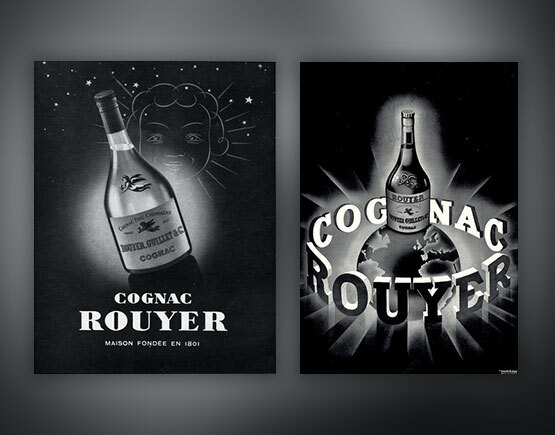 They still produce cognacs, but mainly for the Asian market and in minimal quantities. They transformed some of their storage buildings into select apartments; Guilhem Grosperrin (La Gabare) buys a part. Some of their chateaux are for sale. Suzanne Rouyer-Guillet had taken a liking to golf and took it upon her to build a golf course for the community of Saintes. 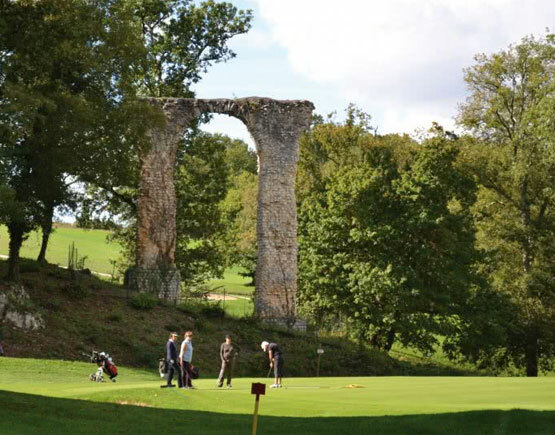 It started in 1953 with nine holes, but now there are eighteen holes, and she had a golf course named after her late husband, Louis Rouyer Guillet. Suzanne Rouyer-Guillet will always be remembered by the Santonian people as an optimistic and cheerful personality, still wearing a smile, even in the darkest hours of the crisis in the seventies and eighties.